Traveling can be a challenge for anyone but for people with celiac disease and nonceliac gluten sensitivity, the degree of difficulty is a bit greater. In addition to packing, confirming reservations, and reviewing itineraries, avoiding gluten must be a top priority. Whether traveling by plane, train, or automobile, finding gluten-free fare isn't always a snap, but there are some things people with celiac disease and nonceliac gluten sensitivity can do to make it easier. 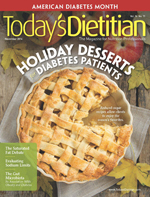 "I think the first hurdle and the biggest challenge is planning," says Lisa Cimperman, MS, RD, LD, a clinical dietitian at University Hospitals Case Medical Center in Cleveland and a spokesperson for the Academy of Nutrition and Dietetics. "If you're traveling and you're following a gluten-free diet, it does take a lot of time up front, which includes bringing gluten-free snacks along with you." The variety of possible snacks depends on the mode of transportation, but there are viable options no matter how a person travels. The biggest difference between taking a car and traveling by plane, bus, or train is the amount of available space. Lori Chong, RD, a dietitian at The Ohio State University's Wexner Medical Center, says she chooses to travel by car whenever possible. "If I'm traveling by car, I feel like I have a little more leeway because I can pack a better cooler and pack more items, whereas, if you're traveling by airplane, you're a little bit more limited in what you can carry onto the plane," Chong says. "If I was taking a day trip, for example, I would definitely pack a cooler. There are some good coolers that will keep food reasonably cold for eight hours or more. That's the best bet." But with some adjustments, people with celiac disease or nonceliac gluten sensitivity still can take snacks on a plane, bus, or train trip. Chong says an insulated lunch bag is a viable substitute for a cooler, and items such as fruits and vegetables and gluten-free crackers or cookies can be easily transported. Some of her favorite snacks include sandwiches made with gluten-free bread or tortillas; whole grain, gluten-free muffins; gluten-free snack bars; individual packs of nuts; and individual containers of yogurt or milk. Cimperman says trail mix with nuts and dried fruit is a nutritious, energy-dense snack. She says instant oatmeal also may be a good option, especially for car travel, because it only requires a cup of hot water to make it and a small plastic bag of brown sugar or dried fruits to sweeten it. However, she says it's important to always read labels because, although oats are gluten-free, some instant oatmeal brands may have been packaged in facilities that also process wheat. Another important aspect of gluten-free travel is communication. Effective communication is invaluable for planning. For example, if meals will be served on a plane or train trip, Cimperman says it's a good idea to call and ask about them. "One thing that people can do with air [or train] travel is to call ahead and speak to the customer service department of whatever airline [or rail line] they're traveling with and, frequently, they will make accommodations for specific allergies, as well as for people who need to follow a gluten-free diet," she says. Cimperman also recommends contacting the local chapter of one of the major national celiac disease organizations to find out about local restaurants, convenience stores, or grocery stores with gluten-free options. There are many electronic resources available as well. Chong says celiac listservs are a helpful way to connect with people who either live in or have visited the destination. And websites such as AllergyEats and Find Me Gluten Free have downloadable apps for mobile devices that can help locate restaurants that serve gluten-free foods. It's always important, though, to double check on arrival what the restaurant serves because menus can change, Cimperman adds. Cimperman suggests asking about the ingredients in sauces and marinades, which may include gluten-containing ingredients, such as thickeners. Even French fries can be problematic if they're cooked in oil that was used for breaded items. When in doubt, she recommends steamed vegetables and baked or grilled fish or chicken. "I always feel more comfortable in a restaurant that has a dedicated gluten-free menu, particularly if the server tells me that they take precautions to avoid cross-contamination," Chong says. "But even if they don't have a dedicated gluten-free menu, you can still eat at that type of restaurant. You just have to communicate well with the server and possibly even the chef, regarding what needs to be avoided on the surfaces where your food is being prepared." The important thing is to ask questions until you're comfortable with the answers, Chong says. She adds that many restaurants, including chain restaurants, now have gluten-free menu items, and questions about avoiding gluten are more common today then they were five or 10 years ago. Asking questions may be more difficult, however, for international travelers. To help with language barriers, some websites such as www.celiactravel.com and www.triumphdining.com offer preprinted dining cards in multiple languages that explain the need to avoid gluten. Staying with family or friends may seem relatively uncomplicated compared with dining on the road, but good communication also will make these visits run more smoothly, Chong and Cimperman say. Calling or e-mailing the host ahead of time to explain why food needs to be prepared a certain way and which foods must be avoided can prevent misunderstandings. Cimperman says many people don't understand why gluten is so problematic for people with celiac disease or nonceliac gluten sensitivity. "For example, a lot of people don't know that even one molecule of gluten can, potentially, be as harmful as 10,000 molecules to an individual who has celiac disease so it's important to communicate why you follow the diet," Cimperman says. "Another reason to give them a heads-up is because you're going to need to read food labels, and you'll be asking to see the actual product or maybe even take a look at the recipes that they're using. If they don't know why you're asking for that, it could seem like a strange request." Fortunately, many common foods, such as fruits, vegetables, rice, dairy products, raw beef, chicken, pork, or fish, are naturally gluten-free. Even lesser known items, such as quinoa, are becoming more mainstream. However, gluten-free baked products and pastas may be a little more expensive than the typical varieties so Cimperman and Chong recommend bringing them along or buying them at a local store. Chong says it's also necessary to use separate pans, utensils, and preparation areas or cook gluten-free items before other foods to prevent cross-contamination. For car travelers, she says bringing a separate toaster for gluten-free bread isn't a bad idea, either. Ultimately, though, the key to successful gluten-free traveling is talking to people along the way. "The biggest thing is to communicate, whether it be with the person you're staying with or with the server or chef at a restaurant," Chong says. "The more you can talk about what your needs are, the less chance you'll have of coming in contact with gluten."